Bolivia. We love you. 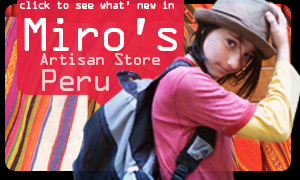 For all of your wackiness, rich culture, historic sites, remarkable landscapes, friendly people and rich rich traditions. The majority of our six week stay, Miro and I dug in deep into La Paz, Bolivia’s administrative capital, located high on the Andes range near snow covered peaks. 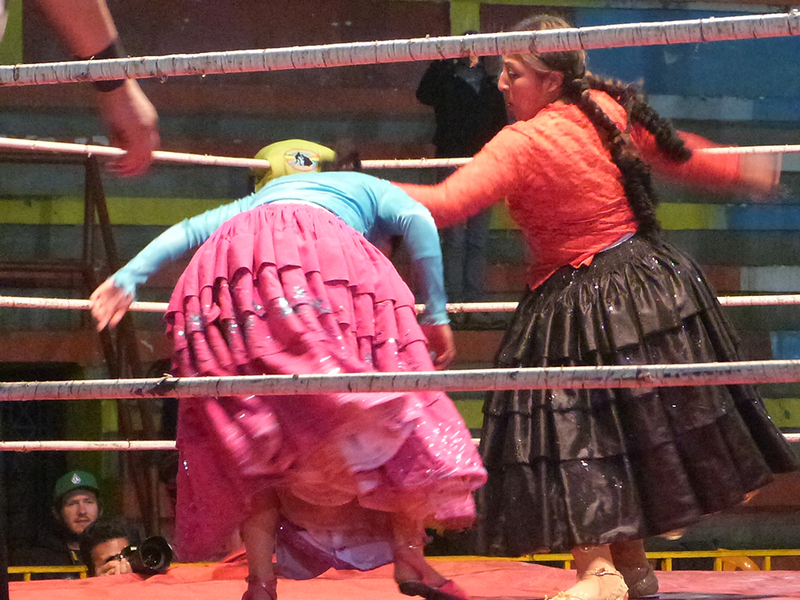 One of the most popular stops for the backpacker crowd is the cultural circus called Cholita Wrestling. 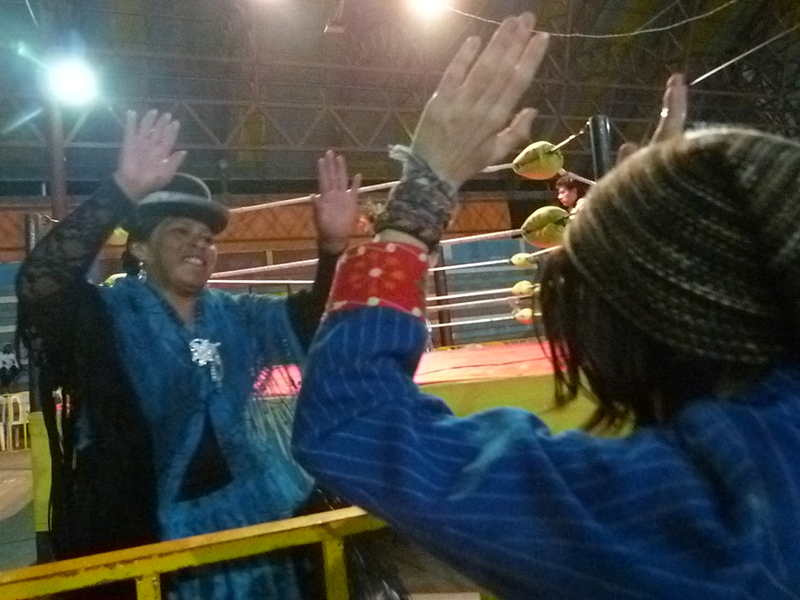 In fact, your Bolivian tour is incomplete unless you see the Cholita Wresting in La Paz. 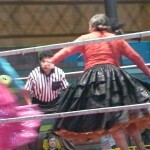 Cholita wrestling is a staged wrestling event along the lines of the WWF bouts. 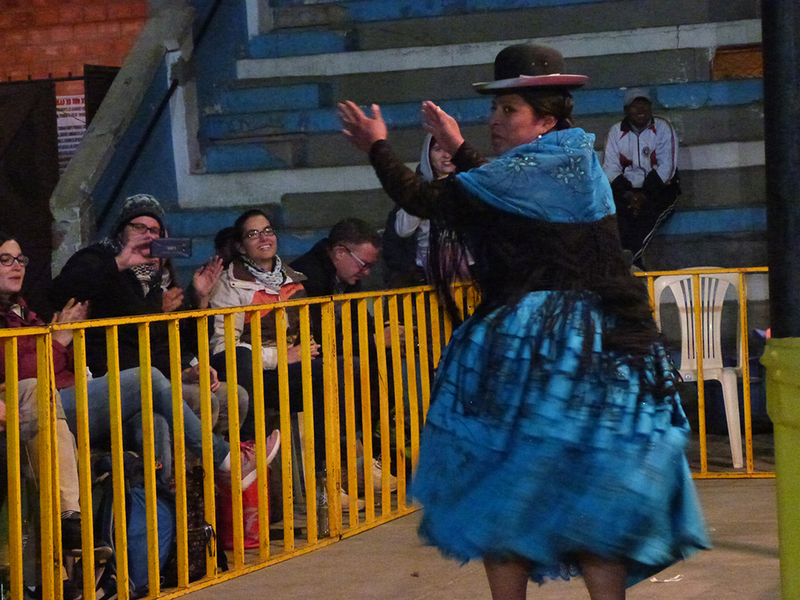 Shows are held on Sunday nights at El Alto’s Multifunctional Center. 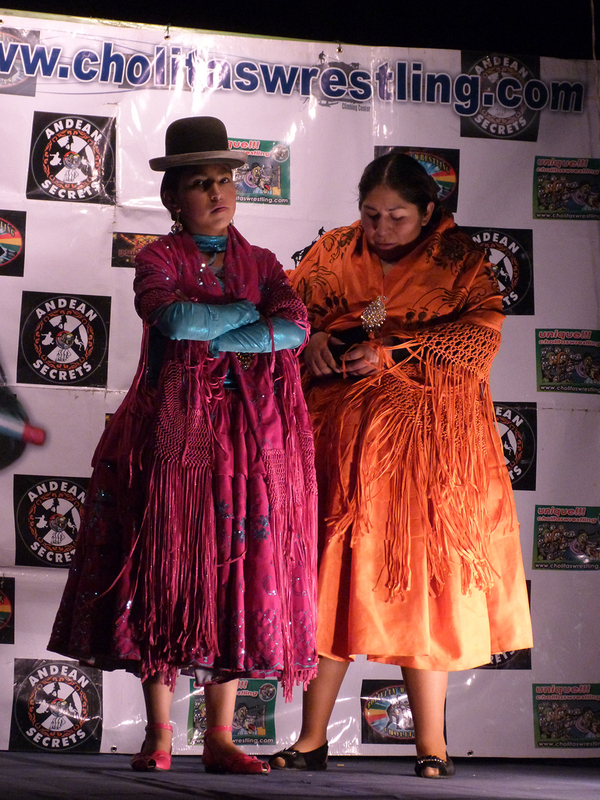 The main participants are indigenous Bolivian women in colorful traditional costumes. They put up an entertaining show as they tackle their opponents and try to get the upper hand in this mock fight. Like the WWF, it’s a crazy, but fun filled show that will keep you at the edge of your seats for the entire event. The bouts are very professional with participants grappling with one another, jumping on each other, grabbing each other’s necks, slapping their opponents, defending themselves and performing many other antics in hilarious fashion. 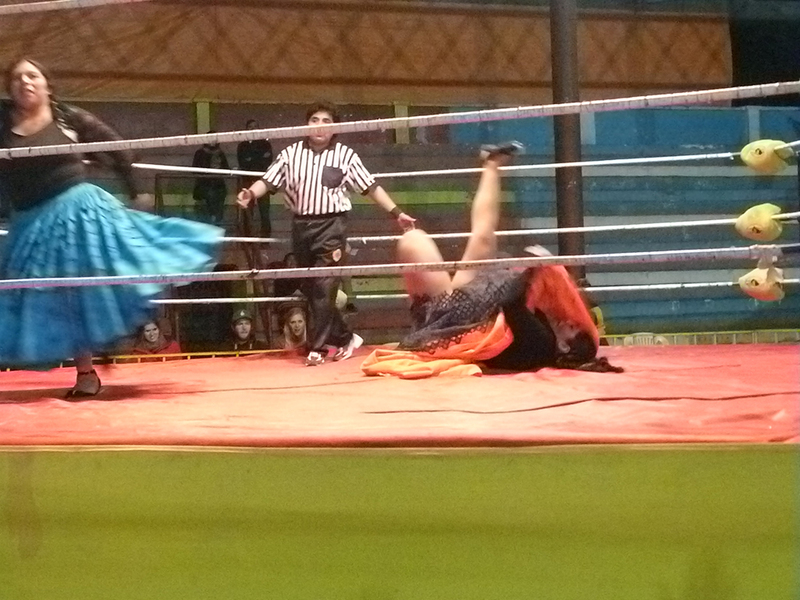 Cholita wrestling evokes a lot of interest and the events are very popular with both tourists and residents. The three to four hour shows are attended by hundreds of people every week. Although the event is centered on the bouts, the attire of the participants is no less interesting. Women with long braided hair wear traditional costumes with colorful multi-layered skirts and fancy hats. The dresses may look unsuitable for a wrestling bout, but the participants seem to be very comfortable with them. Although the contests are wild, absurd and comical, the artists are well trained and the show does not result in any real injury. However, the audience may die of laughter. The show begins in a relaxed, carnival setting with bands playing and people enjoying street food from the stalls outside the venue. It starts off with a male wrestling bout, but before long, the star performers enter the ring, the crowds come alive and the real fun starts. The audience joins in by throwing stuff like empty bottles, popcorn and potatoes at the participants to stoke up the fights. The Cholitas love the crowd attention and it’s an essential part of the show. 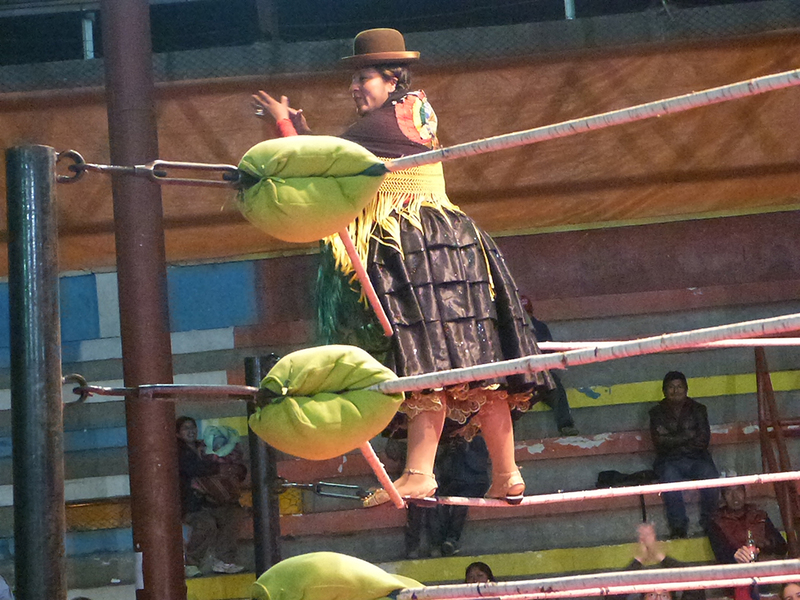 Wrestling became a popular sport in Bolivia somewhere in the middle of the twentieth century, but Cholita wrestling came into existence only in the last decade or so. At first, it was just a stress release outlet for women who were struggling with domestic violence and abuse. 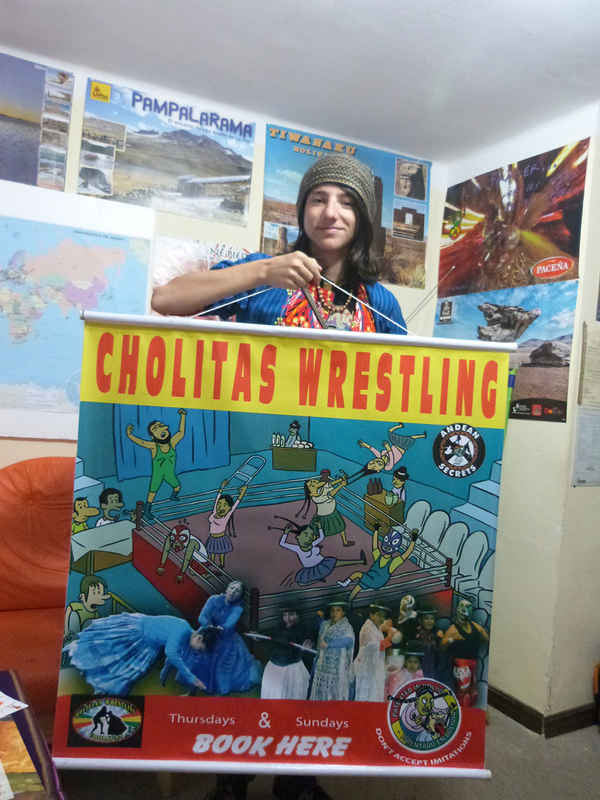 The immense commercial possibilities of the sport became apparent only when a wrestler named Juan Mamani decided to create a new publicity event involving Cholita wrestling. Initially, the women wrestlers were part of a group called the Mamani’s Titans Of The Ring, which had participants from both sexes. In 2011, most of the women members decided to move out of the Titans and create their own wrestling association. Originally, Cholita was a racist term used to refer to women of indigenous or mixed decent. Over time, the racist label has worn off and the term is now seen as a positive way to refer to strong, proud and resourceful women of local origins who believe in themselves. For centuries, the Bolivian women have been considered inferior to men in a society that discriminated against them. 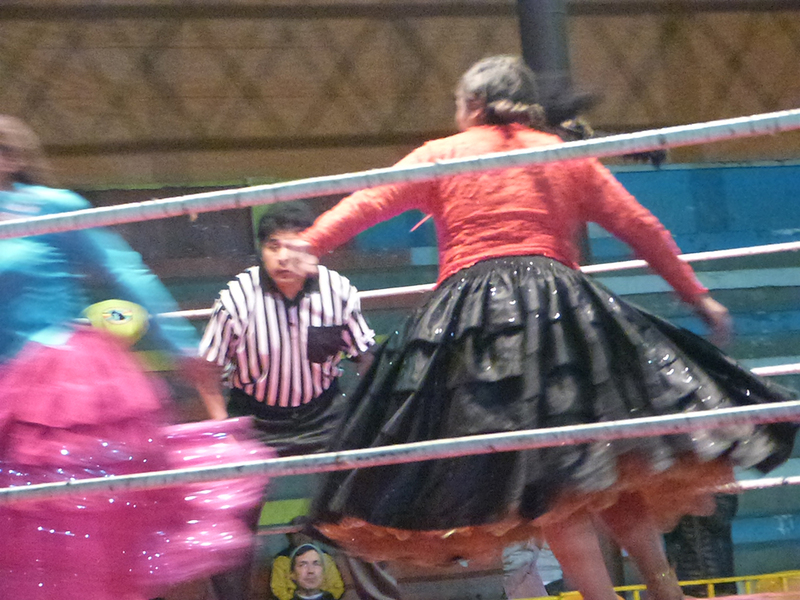 Cholita wrestling is seen as an outlet for such women to prove themselves in a sport dominated by men. The wrestlers take great pride in their job and their abilities. 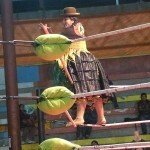 In fact, some women wrestlers formed a group called The Flying Cholitas where men and women performed together in a variation of wrestling called Lucha Libre. 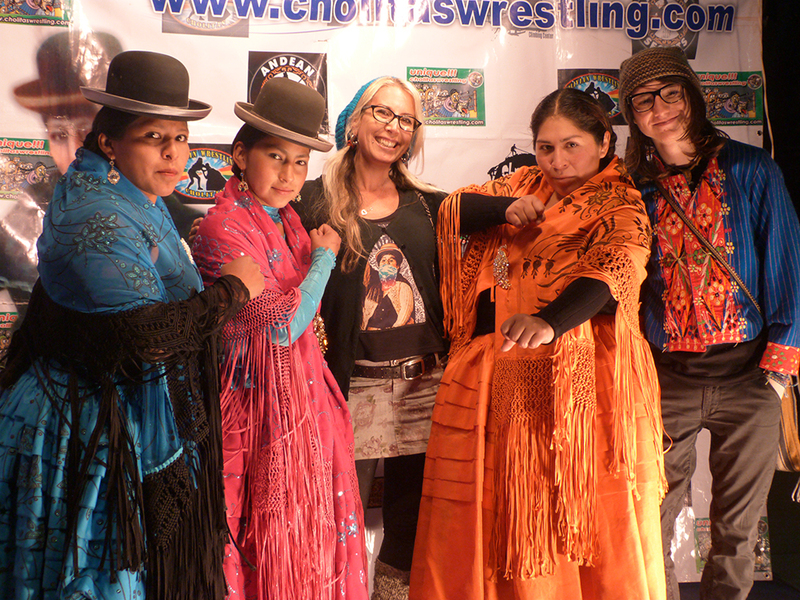 Although racism and discrimination against women are not completely rooted out, the society is changing for the better and the Cholita wrestlers are spearheading that reform. Now, the indigenous women of Bolivia have begun to command the respect that they always deserved. 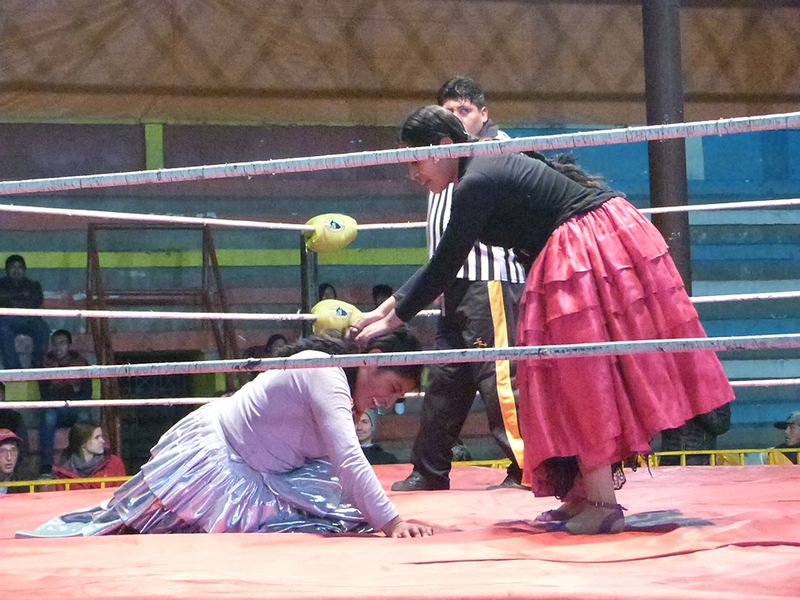 Besides the social benefits of Cholita wrestling, it also gives an opportunity for these women to earn money and become independent. This is important considering that many of them come from poor social backgrounds of poverty and exploitation. 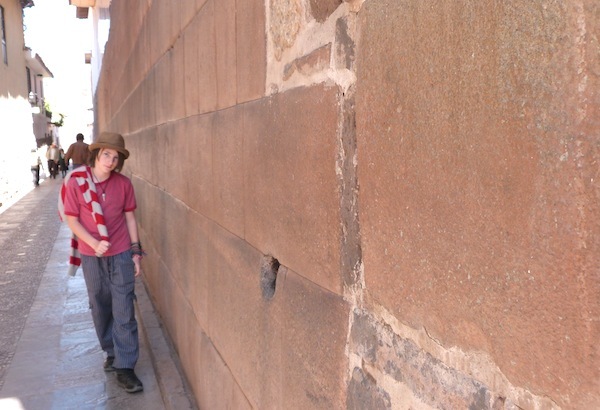 Although you can go to the event yourself, you can join one of the tours organized by local tourism outlets if you are not familiar with the city. Most of these tours start after 3 p.m. and you will be back in your hotel by about 9 p.m. 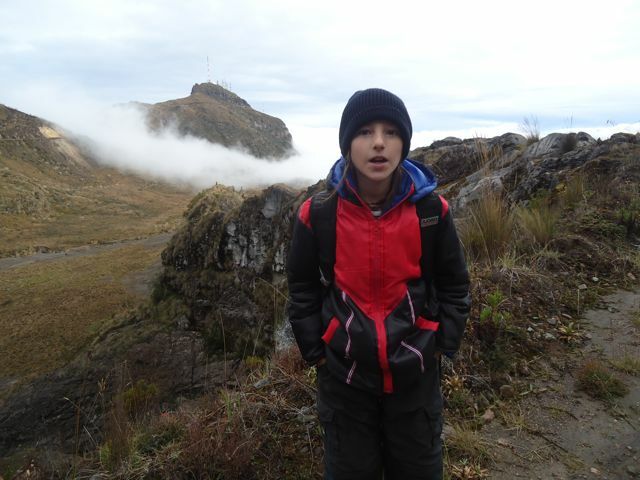 It is very affordable and the package includes transportation, a translator, VIP seats, drinks and a souvenir. 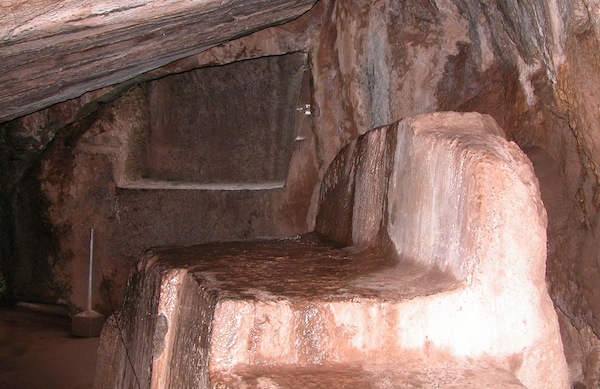 You can check with your hotel or contact the local tour companies directly for reservations. 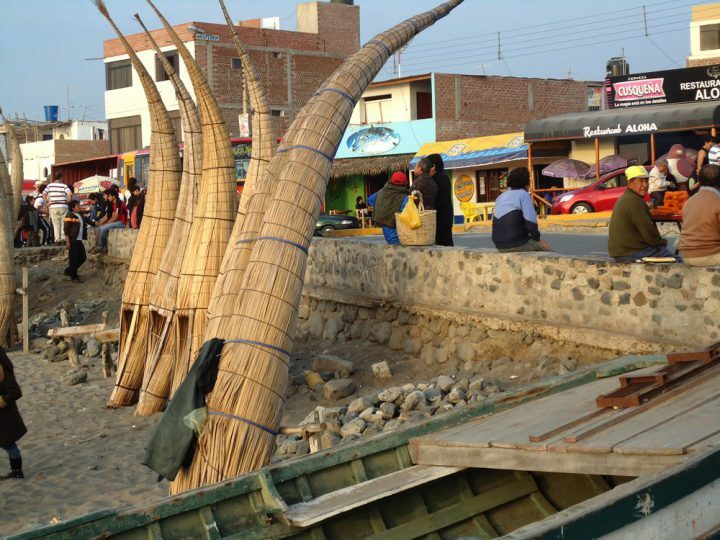 If you prefer to do it on your own, go to the El Alto’s Multifunctional Center. Tickets are available at the gate. Buses ply between San Francisco church and the venue and you can reach the place in about half an hour. 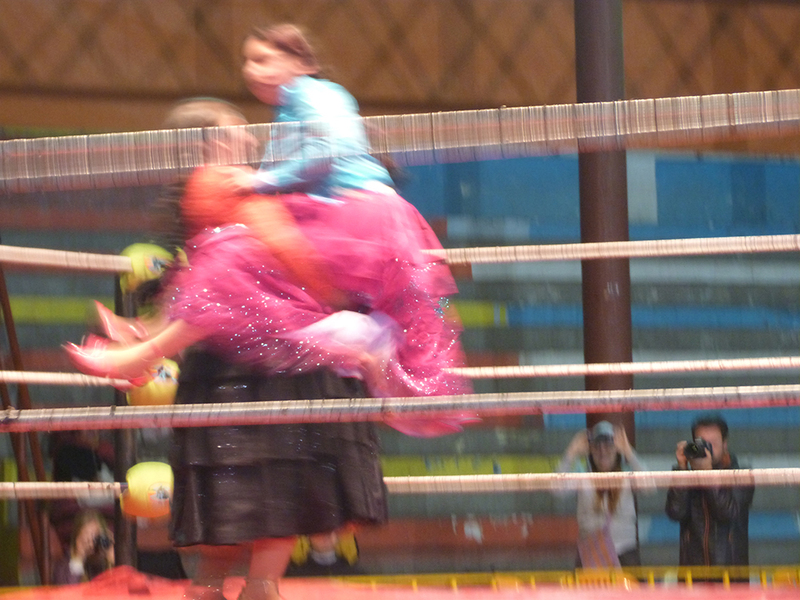 If you are going to Bolivia for the first time, don’t miss the Cholita Wrestling in La Paz. It is a tourist attraction that is fun to watch and it will provide an entertaining Sunday evening for the entire family. Omg, sold on Cholita Wrestling. I love it. Also loved reading about the evolution and empowerment of the term “cholita”. Come for the “Cholita Wrestling” stay for a visit w/ Lainie & Miro. Done, done and done! xoxo, M.